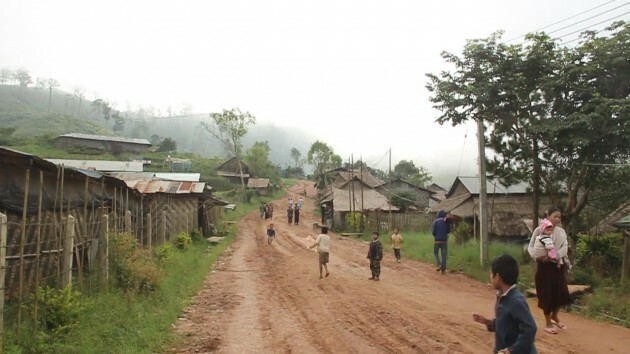 Refugees responded to a senior Tak Province official speaking about the repatriation of the more than 100,000 refugees from Burma living in camps along the Thai-Burmese border by claiming that withdrawal of support by international donors is their immediate concern. Suttha Saivanid, the Tak Deputy-Governor said the Thai government had been in contact with Burma’s recently elected National League for Democracy government to set in place a process to start the repatriation of the refugees. The Tak Deputy-Governor told reporters that the process to repatriate the 100,000 people in nine refugee camps on the Thai Buirma border would begin within two to three years’ time. The Mae Sot meeting was attended by representatives of the UNHCR and Thai security officials from Umpium, Mae La and Nupo refugee camps. A refugee from Umphien camp who asked not to be named told Karen News that the problem they have is not with the time frame to return voluntarily with dignity to their homeland. The refugee said that living dignity in the camp is now being undermined by the decreasing food rations and cuts to other vital services in the camp. A camp committee member from Umphiem camp said that the issue of repatriation is nothing new for them. The camp committee member said that they have not been informed by the Thai authorities about this recent discussion about repatriation and that if it has started there should be official discussions among local Thai officials and the various camp committees if the process is to start taking place. Naw Blooming Night Zan, a member of the Karen Refugee Committee said that no representative from KRC attended the recent meeting, but she had attended previous meetings where the Tak Deputy Governor also made his position clear about the return of refugees. Naw Blooming Night Zan said that KRC was told that the Thai government will not forcibly repatriate refugees as it is not their policy to do so. The Thai government has agreed in principle that repatriation should be according to international standards where refugee will return home voluntarily and with dignity.